Please, find below the answer to the most frequently asked questions about Data API. Electiona Data API provides data access to the electoral process offered along with the historical data from previous processes of the same type. That gives you the possibility of create graphics that shows information in real time, but also portlest and representations for analysis and comparison with previous processes. This is a transparent issue in the API, the developer choose the year needed for the data extraction through the existing calls. Once the data begins to be accessible during the scrutiny process, the calls will give back the required data. After purchasing the service you will get access to the platform where you can download documentation and examples. There is also a support line active during the electoral process to solve all your doubts about Data API. 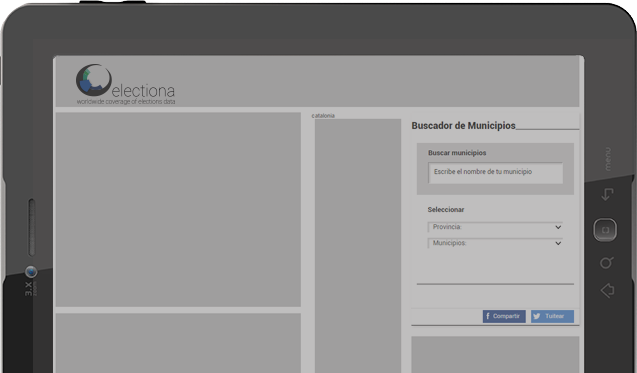 The API access is available for 30 days after the electoral process. When your purchase the service, our support team will give you a user/password that you should use to log in and get the service. The user/password is generated a few hours after the purchase is made. Electiona Data API has been implemented as a REST service easy to use. On the other hand, it returns standard JSON files.